Your hard earned assets may be distributed to individuals you intended to exclude from your estate. Your heirs may be required to go through a lengthy and expensive public court process known as probate before they can receive any part of your estate or pay your existing bills. Your estate may end up unnecessarily paying thousands or millions of dollars in taxes. You will have lost the opportunity to nominate a guardian of your choosing for your minor or disabled children in the event of your death. There may even be adverse consequences during your lifetime, as someone you do not trust may be granted the authority to handle your finances and make healthcare decisions for you if you become disabled. 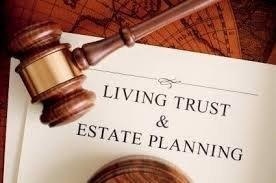 All of these problems can be easily avoided with the help of an experienced, qualified estate planning attorney. For over 30 years, Richard P. Sora has advised individuals and families regarding their estate planning needs. He also has extensive experience in the courtroom, helping numerous families go through the probate process when their loved ones failed to prepare an adequate estate plan. Your assets will be distributed to your loved ones upon your death, exactly as you intended. Your assets will be transferred to your designated beneficiaries privately and immediately after your death without the involvement of the court system. Any tax liability resulting from your death or the transfer of your assets will be eliminated or minimized. Only those people you trust will serve as guardian for your children in the event of your death or for you in the event of your disability. Of course, many people fail to make these arrangements before it’s too late. Our office can also help if you find yourself charged with the responsibility of having to submit your loved one’s estate to probate. 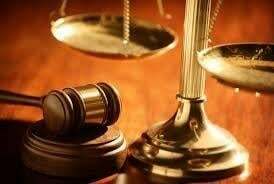 We have the experience and compassion to help you navigate through the court system efficiently and with the dignity your family members deserve. Start preparing for your future today and contact the Law Office of Richard P. Sora for a free, no-obligation initial consultation. You’ll have peace of mind knowing you have helpful qualified experts working to develop the best possible estate plan for you and your family.